When it comes to plumbing your fuel line in your vehicle, safety, longevity and performance should be at the top of your list. Modern fuels have additives that harden and deteriorate traditional rubber hose including stainless steel-braided hose. This leads to potentially dangerous leaks and weeping. The fuel vapors also deplete fuel and leave unwanted odors in your shop. Once fuel lines are degraded, rubber hose particles can contaminate and obstruct fuel injectors and carburetor passages hindering performance and causing multiple problems. Earls Performance fuel hoses that address these issues with multi-layer technology designed to withstand the corrosive properties of modern fuel. 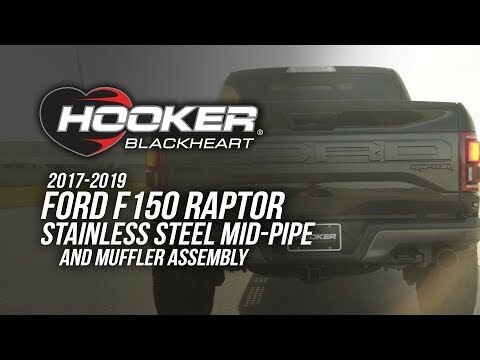 With four different types of fuel hose available, let’s take a closer look at all the features and benefits of Earls Performance fuel hose. Earl’s Vapor Guard fuel hose provides an economical solution that virtually eliminates fuel permeation issues common with most rubber fuel lines. The technology in Earl's Vapor Guard hose is in its layers. The multi-layer rubber hose is designed to withstand the corrosive properties of modern fuels while eliminating vapors and providing extreme tolerance to heat and ozone contamination. Vapor Guard fuel hose is available for low pressure carburetor fuel systems or high pressure EFI applications. The EFI vapor guard fuel hose comes with a braid-aramid material to support the higher pressures. It’s important to note that they are available in 5/16” and 3/8” sizes only. They are not intended for use in applications where the hose is submersed in fuel. Vapor Guard hose must be used with Vapor Guard hose ends and clamps. Using other hose barb style fittings or hose ends may damage the inner liner on the hose. Vapor Guard fuel hose ends feature a smooth retention bead that retains the hose under pressure making them easy to install and use. Simply cut the hose, push it on and tighten the clamps! For most economical builds Vapor Guard is the way to go. Next in line is our Speed-Flex fuel hose. Just like Vapor Guard, Speed-Flex fuel hose is designed to withstand the corrosive properties of modern fuels. It uses a stainless steel braid to protect a PTFE inner liner making it compatible with a variety of fuels and additives. It withstands Methanol and alcohol fuel better than Vapor Guard. The tough outer stainless steel braid protects your Speed-Flex fuel hose and provides additional strength and integrity. Speed-Flex fuel hose is able to withstand 1500 max psi. It is available in a variety of sizes ranging from -2 AN to -10 AN. Speed Flex is carbon lined (-6 AN to -10 AN sizes) for safety to eliminate static electricity buildup. With its robust inner liner and stainless steel braid, it is not as flexible as UltraPro or Ultra-Flex fuel hose. Speed-Flex without the PVC coating can be used in applications where the hose is immersed in fuel. Speed-Flex hose is intended for use with Speed-Seal hose ends only. Speed-Flex is a little more difficult to cut and assemble than Vapor-Guard. When you need performance Earls UltraPro Fuel Hose gets the nod. The UltraPro Series was engineered to exceed the rigorous demands of racing. Designed to withstand today’s modern fuels, it thrives in harsh environments that include vibration. The PTFE double-helix inner hose liner offers extreme ﬂexibility making tough plumbing jobs a snap. The liner is carbon infused for static dissipation and has an ultra low coefficient of friction for maximum flow. The outer liner is also reinforced with a glass-ﬁber wrap for additional strength and integrity. Nothing has been left to chance with UltraPro hose. UltraPro is available in black polyester braid and stainless steel outer braid. The polyester braid hose and stainless steel braid are significantly lighter than traditional rubber hose with stainless steel braid. UltraPro Stainless steel braided hose can be use in applications where the hose is submersed in fuel. UltraPro polyester braided hose is not recommended for applications where the hose is submersed in fuel or subject to road debris. UltraPro fuel hose must be used with UltraPro hose ends. Save weight and get the flexibility of UltraPro fuel hose for your racecar. UltraPro fuel hose can be assembled with twist-on or crimp-on UltraPro hose ends. Twist-on hose ends can be easily be assembled at home with common tools. UltraPro is easier to cut & assemble than Speed-Flex, but not quite as easy as Vapor Guard. Earl's Ultra Flex is the finest and lightest fuel hose available. It combines a woven Kevlar® braid or high tensile grade 304 stainless steel braid with an internal smooth bore PTFE tubing for increased flow. The convoluted exterior makes for incredible flexibility. The inner PTFE tubing is suitable for use with any fuel and resists temperatures up to 500° Fahrenheit. Ultra-Flex Stainless steel braided hose can be use in applications where the hose is submersed in fuel. Ultra-Flex Kevlar braided hose is not recommended for applications where the hose is submersed in fuel or subject to road debris. Ultra-Flex Kevlar braid Fuel hose is 60% lighter than our stainless braid protected rubber hose and our Ultra-Flex stainless braid Fuel hose is 40% lighter! When it comes to maximum performance, no other fuel hose comes close to Ultra-Flex. As with other Earls Fuel hose, it only accepts Ultra-Flex crimp style hose ends. Ultra-Flex assembly is more difficult and requires a specialized crimping machine. 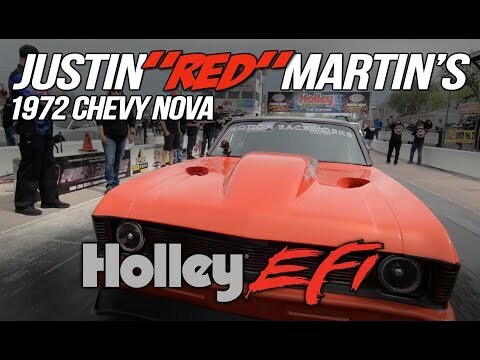 For maximum weight savings and flexibility use Ultra-Flex Fuel Hose. When plumbing your vehicle always keep fuel hose away from heat sources, sharp edges, & moving components. Always allow enough slack for powertrain movement. Check for clearance from suspension & drivetrain components. Be sure to check the full range of travel on suspension parts to avoid pinching/stretching the fuel hose. For fuel hose that is subjected to road debris and high temperatures use stainless steel braided fuel hose or hardline. Make sure to use clamps to hold the hose in place and prevent abrasion. Clamps also help in dampening vibration to other components. Use proper bulkhead fittings or grommets when the plumbing goes through a panel. 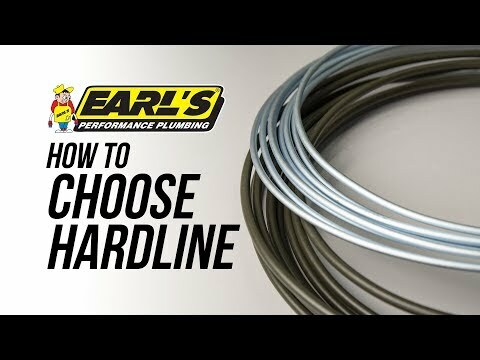 With all the choices and differences in tubing materials today, choosing the correct hardline can seem daunting. Each material has its own pros and cons so you’ll need to consider the specific application or vehicle system that you plan to use it on, before making a purchase. Earl’s carries a wide selection of tubing in a variety of materials and sizes for use in most any automotive system. Follow along while I break down these tubing designs and give you a better idea of their benefits. 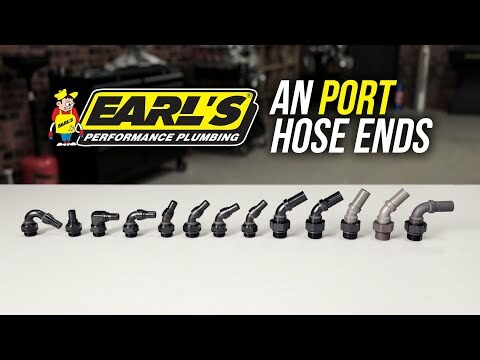 For optimum leak control in automotive plumbing, use Earl’s Port hose ends! These AN port hose ends are available in straight, 30, 45, 60 and 90 degrees. By using an O-ring, a positive seal is created and also eliminates an extra fitting giving you some extra clearance.